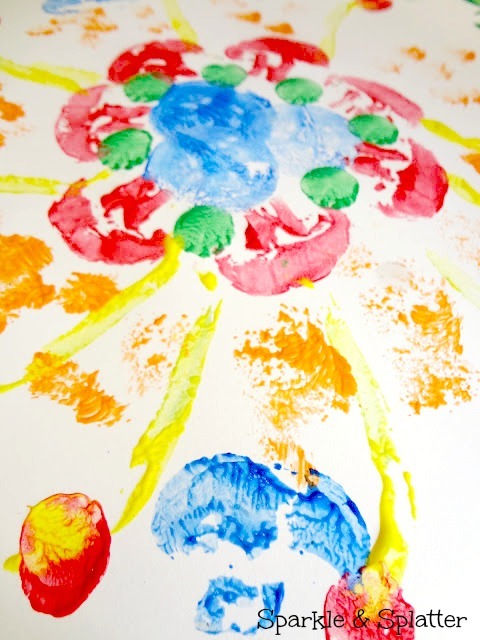 We had so much fun making potato print gift wrap the other day, so we decided to raid the fridge and make veggie prints! It sure was interesting to dig around in the produce drawer and decide if each vegetable was worthy of our masterpiece. Start by cutting (grown-ups help here) you veggies as needed for the shape you desire. We cut mushrooms in half, sliced the zucchini, but left the broccoli intact. Try experimenting with different types of cuts for a variety of effects. 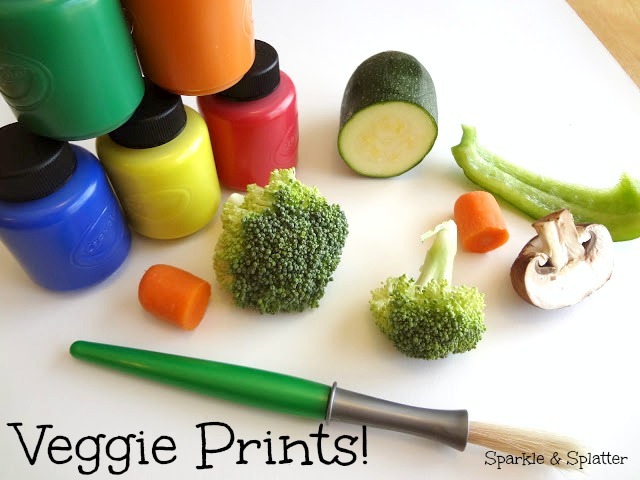 Dip (or brush if you prefer) the paint onto the veggies...stamp to your hearts content! Try making them with different types of paper too. 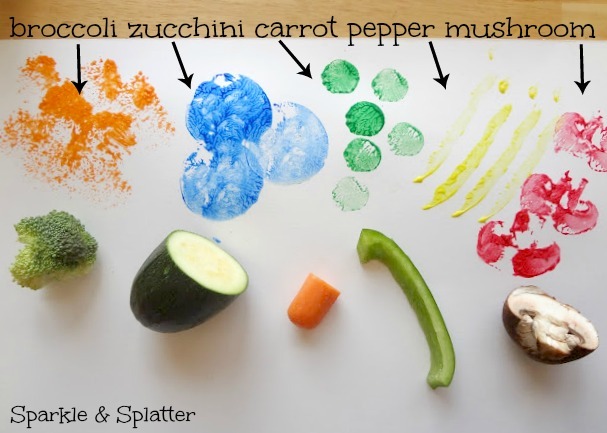 Tip: If needed, blot the vegetable on a paper towel to remove excess moisture before dipping them in the paint. Here is our masterpiece...have fun creating yours!